Putting Crimea on the map – what could possibly go wrong? Russia sets the record straight and exposes NATO’s hypocrisy! – This was the intended message in a cartoon published last week by Zvezda, a website and TV channel run by the Russian Defence Ministry. 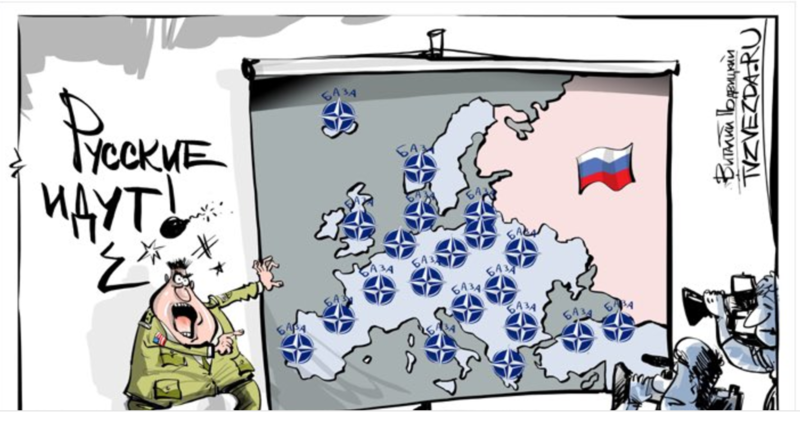 But there was just one problem with the image: On the map of Europe, which served to illustrate a story about how “NATO is encircling Russia“, Crimea found itself in the wrong place – from the Kremlin’s perspective that is. From the perspective of the international community, Crimea was put right where it belongs – in Ukraine. 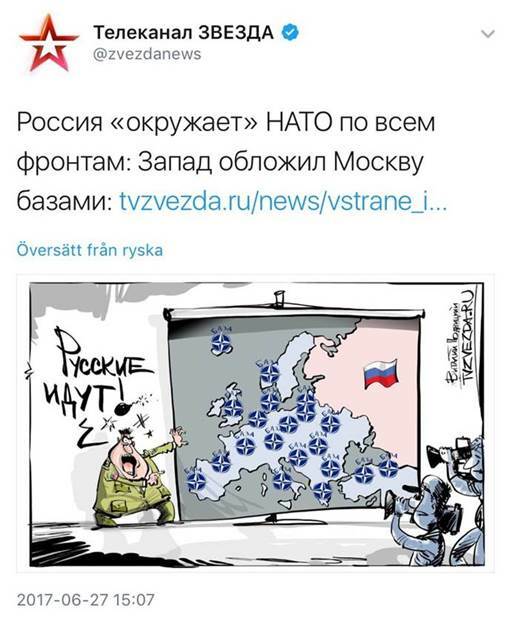 Zvezda got second thoughts about the inaccurate map and removed the image from its Twitter feed and its website. The image is the work of cartoonist Vitaly Podvitsky, whose cartoons in pro-Kremlin outlets we highlighted last week. We’ll keep our fingers crossed that Mr. Podvitsky won’t lose his job after this blunder – the fact that Finland and Belarus became parts of Russia on the same map might help him continue his career. “The Russians are coming!” So the NATO officer yells in this image published by the outlet of the Russian Defence Ministry, Zvezda.